This week, Part 2 Graphic Communication students completed the inclusive design component of their integrated design modules. Building on the series of workshops (see BdB blog) we did earlier in the term and relevant readings, on Monday, students presented seminar papers to their peers on particular aspects of inclusive design. 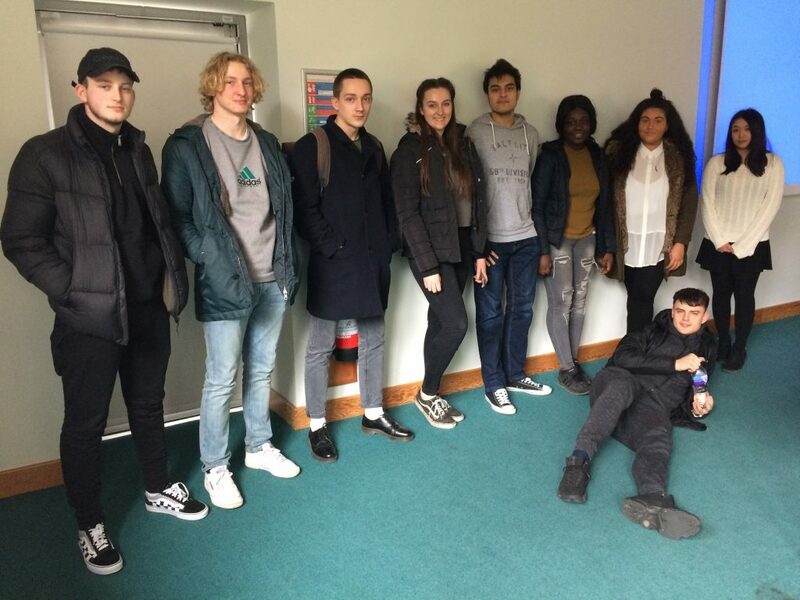 On Monday, our Graphic Communication students presented inclusive design seminars to their peers (from left to right): Jordan Bellinger, Lewis Burfield, Maciej Bykowski, Fenella Astley, Rajvir Bhogal, Stephanie Boateng, Cherise Booker, June Lin and (front) Jordan Cairns. Inclusive wayfinding – including challenges and innovative proposals for solutions in contemporary design practice. Students commented that the inclusive design workshops, readings and seminars they have done have helped them become “more consciously aware” of how important it is to consider inclusive design in their own work and how designers may have to take responsibility for designing inclusively for a range of users. The highlighted how it is important to realise that the people they are designing for are probably “not the same as you (the designer)” and that inclusive design is “not just being aware” but about embedding inclusive practices in our industry. They also noted that these seminars had made them aware that there is “not enough research” about inclusive design within our discipline.